“A new training regimen for fighters in Hamas’s armed wing employs slide presentations and a whiteboard. Conducted by the International Committee of the Red Cross, these three-day workshops are designed to teach fighters to apply humanitarian law when engaging in combat. Skeptics may question the utility of teaching humanitarian law to a guerrilla force that the United States and the European Union classify as a terrorist organization. But #RedCross leaders say they have seen an increasing commitment from #Hamas leaders and linemen alike, if only because they now consider their international image a critical component of their struggle. 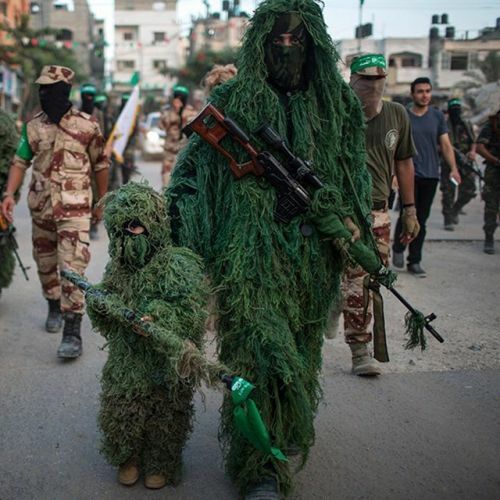 @wissamgaza photographed this masked #Palestinian boy and Hamas militants at an anti-Israel military parade in the northern #Gaza Strip earlier this month.” By nytimes on Instagram.